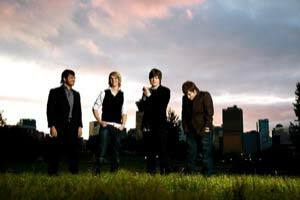 Starfield is a Christian/Worship music group from Winnipeg, Canada. Their first international album, Starfield was released in 2004 by Sparrow Records, which contained a new version of the hit "Filled With Your Glory". Since then they have had three more releases with Sparrow: Beauty In The Broken (2006), I Will Go (2008), and The Saving One (2010). Their first two albums, the original Starfield (2001) and Tumbling After (2003) were released by independent Starfield Music Group (Canada Only). .